Could Dead Rising be considered an RPG? The argument of whether Zelda is an RPG or not is one that has driven Alex to the brink of insanity -- but now he's opening a whole new can of worms -- could everybody's new favourite zombie killer be an RPG in disguise? A long time ago in a galaxy far, far away... this game was awesome. It still is. Otogi 2 is back with amazing graphics, smooth animation, and beautiful carnage, altogether improving upon its predecessor in nearly every way deemed possible. iPad version of the Bioware classic out now for $9.99. Bioware actively considering the future of its asian-styled franchise. 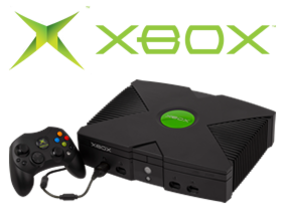 PC software behemoth Microsoft enters the video game space with a bang with its first major console, the hefty-sized Xbox.